Men's cuff links made from blue and green vintage paisley silk. 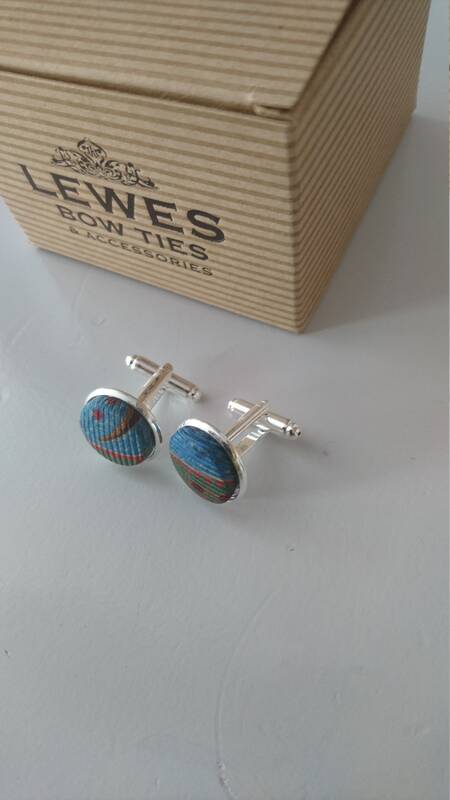 Beautiful pair of cuff links and perfect for a weddings or as grooms man gift. 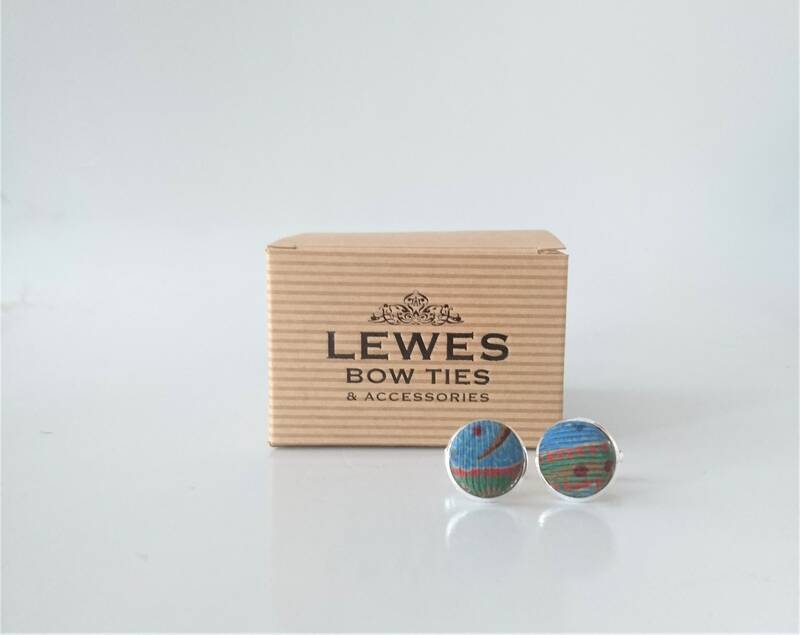 Each pair of cuff links is hand made in our studio in Lewes and fit all standard shirts. Packaged in recycled paper box. Pattern placement may vary slightly.